Training with a friend of her father’s in the Taree Manning Base Hospital as a nurse was the best Evelyn could do. She was grateful beyond words for his help – and when she presented the certificate to her father and he ripped it up, she informed him she had another; she was also heading to Cairo as a nurse and there was nothing he could do to stop her. World War I had begun – doctors and nurses would be needed, and Evelyn was determined to do her bit. As the Heliopolis Palace was turned into the 1st Australian General Hospital, patients began arriving from the disastrous Dardanelles campaign; some were walking wounded, others had shocking injuries. But Dr William Brent, although struggling with a weak leg from polio as a child, was a hard-working, doggedly determined and compassionate doctor, and with Sister Northey by his side, they often worked twenty hours straight in theatre, with barely a break. Four years of blood, sweat and tears – of heartache and loss; of hope and fear. And feelings that grew, whether they wanted them to or not. What would be the outcome for Evelyn and William – for the many others affected by a horrific and unnecessary war? 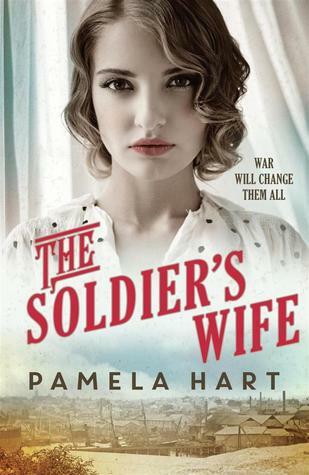 Pamela Hart writes historical fiction with seeming ease. The words flow; the research is obvious; the pages turn themselves. I’ve loved her previous historical fiction novels, and this one didn’t disappoint. The cover is perfect for the story; the red-haired beauty is Evelyn to a tee – the background picture of the hospital tents on the front line as I imagined. I can’t recommend The Desert Nurse highly enough – 5 stars. This is a wonderful, intelligent, evocative and mesmerising 5 star read! This war time novel brings unique voice to this work of historical fiction – it is unusual to see the war depicted from this view point – the view of a woman, a multifaceted view; the view of a wife, facing an uncertain future in her new home in Sydney, NSW, while her husband is overseas deployed in the war, the view of a compassionate friend who is a great support when the Death Knock Telegrams are delivered, the view of a woman bravely entering the realms of a male dominated workplace where her opportunity to work is regarded as a privilege not a right by her male colleagues, and the view of a daughter discovering adult married life and responsibilities outside of the community of her childhood. And a very interesting view point – of the partner of a returned, injured soldier dealing with the physical and invisible injuries that war bestows on him. War leaves its stain on all that it comes in contact with. This book was a joy to read – it had bold, wonderful, engaging transforming female protagonists on the cusp of emancipation and the narrative was filed with the tension, uncertainties, fear and the drama of war – both on the battlefield and off although most of the setting and action takes place is in inner city Sydney. The First World War is a backdrop that provides the tension and influences the characters life choices and destinies in this narrative. Ruby’s personal story is one that is engaging, positive and realistic of that time and provides a little slice of history for us all to understand: war affects us all, changes everyone and everything. 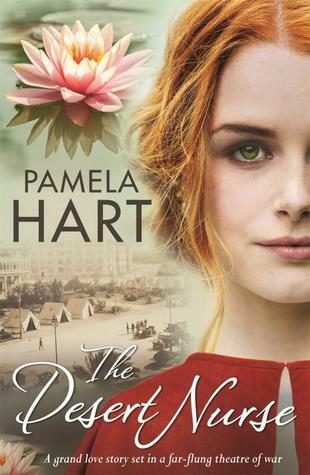 I was surprised at just how much I enjoyed this book – historical fiction is not one I usually embrace but my view of historical fiction is rapidly changing, what a gifted writer you are Pamela Hart, thank you.